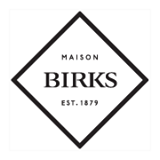 Birks is Canada’s premier luxury jewellery brand, that has come to be respected for its designs and manufacturing of fine jewellery, quality timepieces, silver flatware, hollowware products and other gifts. Fine jewellery embodies a moment, a person, a feeling. No choice is ever insignificant. Birks puts all their expertise into helping you fill each blue box with a promise of delight.